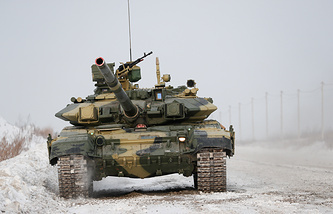 "The Russian side is ready to extend the license and boost production of the T-90 tanks in India due to the decision on additional purchases of tanks in the interests of the national armed forces," the Federal Service for Military-Technical Cooperation told Kommersant. The agency noted that Russia would continue to assist its partners in India "in the further production of this armored vehicle." At the same time, sources familiar with the negotiations told Kommersant that the applications for the T-90MS vehicle kits from New Delhi are expected in the near future. "This includes extending the license that India already has and the delivery of kits from Moscow, as well as assembly on the customer's territory," one of the sources said. Another source in the defense industry told Kommersant that the Ordnance Factory Board will handle the direct manufacturing of the T-90MS. Russian participation would be limited to supplying technological kits for their subsequent manufacturing, training Indian personnel and providing service. Sources in the industry told Kommersant that the approval of the deal by the government is "an extremely important moment against the background of the upcoming parliamentary elections in India", which will be held from April 11 to May 19. "When the whole republic is in a state of chaos and certain instability, confirmation of its attitude towards Russia as a partner in defense cooperation is extremely important," a source in the military-industrial complex told the newspaper. The news that during the talks in Moscow, Russian President Vladimir Putin and his Turkish counterpart Recep Tayyip Erdogan, could not agree on the price of gas, agitated the public. Experts believe that most likely the parties will come to a compromise. A discount is possible, but in exchange for something, say for example, access to Turkey’s retail market. The fate of the second transit string - TurkStream 2 - which is unlikely to be launched before 2021 arouses more serious concerns, experts told Nezavisimaya Gazeta. This time Serbia has been labelled the project’s problematic participant. 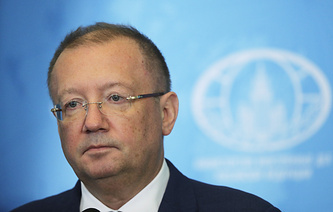 Experts interviewed by the newspaper believe that, despite the differences over prices, the threat to launching the first string of TurkStream is minimal. "This is not the first such case. We can recall the story of the project of a direct gas pipeline from Russia to Turkey - Blue Stream - which is currently operational. When it was under construction, Turkey said the same thing - that Russian gas was expensive and they needed a discount. However, gradually the gas pipeline was filled to 100%, and the situation was ironed out," Director of the National Energy Institute Sergey Pravosudov told the newspaper. According to the newspaper, Serbia was supposed to begin the construction of a connecting gas pipeline, but so far, this has not happened. Its timing still remains a mystery. Pravosudov believes that Serbia is unlikely to complete its construction before the end of the year. "This means that the second string will not be loaded or will be loaded minimally," he said. It will require upgrading timeworn infrastructure, and constructing connecting routes. "By the end of 2021, perhaps, all this work will be completed," Pravosudov concluded. "As for the second string, the timing of its construction and commissioning is difficult to predict," Deputy Director of Alpari Center Natalia Milchakova told the newspaper. Experts reiterated that earlier Russian officials had repeatedly demanded "to reinforce specific guarantees" from both the European Union and Bulgaria regarding the fate of the second string, and so far, no guarantees have been received. In 2017, Russian Helicopters delivered 221 helicopters, a year later, this figure decreased to 200 units. "The figure for 2017 is taking into account the upgraded vehicles. They need development work, so they are included in the supply statistics. For new vehicles, the figures for 2018 are roughly comparable to 2017," Boginsky told the newspaper. "In the future we plan to grow. In particular, in 2019 we expect to reach the figure of around 250 helicopters," he added. 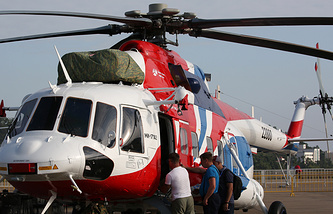 Boginsky noted that the holding now has export potential, which was helped by last year’s demo tour of the Mi-171A2 and Ansat helicopters in China and Southeast Asia. "We have signed a contract for the supply of 20 Ansats in the interests of China Association for Disaster & Emergency Rescue Medicine, and we have also gained about 50 soft orders for the Mi-171A2 and Ansat for Southeast Asian countries, and we are now working on changing them into firm contracts," Boginsky said. He also noted that the peak of rearmament with Russian military equipment had already been passed in countries that have historically been major partners of Russia, such as China, India, Algeria, Egypt, Malaysia, and Myanmar. "According to our estimates, military exports will amount to 30-40 helicopters per year. By comparison, in 2011-2017 we supplied 650 helicopters for military-technical cooperation," Boginsky concluded. Experts interviewed by Kommersant believe that the lawmakers did not take into account many of the suggestions from the industry, and the document as a whole remains "illiterate and incomprehensible" and would give the Russian media and communications watchdog too much power. At the same time, the mandatory use of "Russian encryption tools" will affect only state bodies, local governments, and state-owned municipal institutions. Since the bill involves adopting bylaws of different levels, it could enter into force in November 2019. "In general, the project remains illiterate and incomprehensible," Curator of the Working Group "Communication and IT" at the Government Expert Council Irina Levova told Kommersant, adding that it would be advisable to provide more time to draw up amendments. Broad powers given to the Russian watchdog would be better off distributed between the service, the government, and the Ministry of Communications, Levova added. The newspaper’s source in one of the major telecom operators also called concentrating all power in the hands of one organization a "major problem".